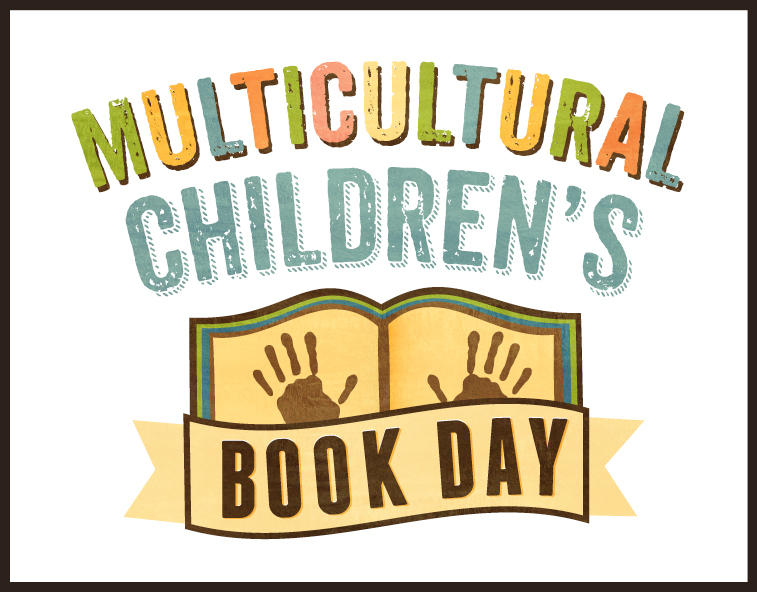 Happy Multicultural Children’s Book Day (MCBD)! January 27 has been designated as a day to celebrate and be aware of books by and about a diversity of people. It is so important for kids to see themselves in books and to see the diversity of the world we live in. I am grateful that authoring My Amazing Day has gotten me involved with this event, now in its fourth year. This year, I volunteered to be a reviewer. I thank Lee & Low Books—for being such a longtime leader in publishing diverse children’s books, for being a sponsor of Multicultural Children’s Book Day, AND for sending me a review copy of Mama and Papa Have a Store, a Pura Belpré Honor Book published in 1998 and written and illustrated by Amelia Lau Carling. 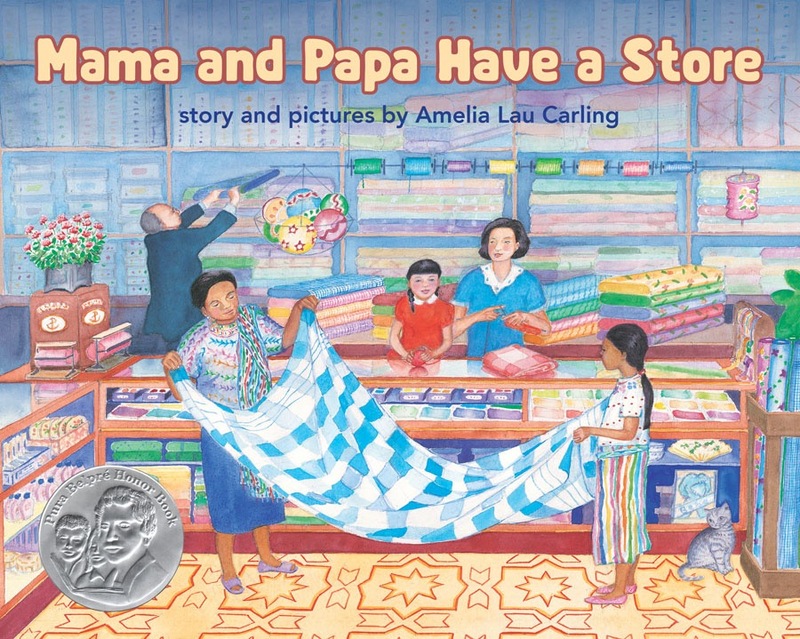 Based on the author/illustrator’s own childhood, Mama and Papa Have a Store recounts a day in the life of a girl whose family has immigrated from China to Guatemala. Too young to go to school with her brothers and sisters, she spends the day in and around her parents’ store in Guatemala City, observing what is going on and engaging in a variety of activities connected to her Chinese family background and Guatemalan home. During the story’s day a Mayan family, that has traveled from their village in the volcanic mountains, visits the store to choose colorful threads for weaving clothing. Carling celebrates language not only with her lyrically written English, but also by including descriptions of the meanings of family members’ Chinese names, a smattering of Spanish, and the notion that the Mayan family speaks another language. Children will enjoy exploring the many details in the watercolor and gouache-rendered illustrations, while listening to the lovely rhythmic language. This is a book for a thoughtful time. So often in the United States we present diversity in terms of our own country. Mama and Papa Have a Store expands that notion for American children (including immigrant children) by showing diversity and immigration in a setting outside the United States. While the geographic setting is in a country that will be unfamiliar to many children, the ideas of a store and events in a child’s day are very familiar and easy for kids to connect with. When you read Mama and Papa Have a Store consider having your young readers find China, Guatemala, and their own country on a globe or map to get a sense of the scope of the world, and how far the protagonist’s family went. Here is a link to a world map with the Pacific Ocean in the middle allowing you to see the distance between China and Guatemala in a more meaningful way than on maps we typically see in the U.S., which have Asia and the Americas separated by a page break. Mama and Papa Have a Store includes several references to the protagonist’s parents longingly keeping their connections to China. We learn in an introductory comment that the author/illustrator’s mother never was able to return to China, and her father returned once, late in his life. Reading this book provides an opportunity to talk about family members and ancestors who were immigrants. How far did they travel? Do you know if they made any trips back? What, if anything, did they bring with them from their countries of origin? One of the many benefits of diverse books is that there is so much to discover and discuss. May this year’s Multicultural Children’s Book Day lead you to many diverse books and great discoveries and discussions for this day and every day! Multicultural Children’s Book Day 2017 (1/27/17) is its fourth year and was founded by Valarie Budayr from Jump Into A Book and Mia Wenjen from PragmaticMom. Our mission is to raise awareness on the ongoing need to include kid’s books that celebrate diversity in home and school bookshelves while also working diligently to get more of these types of books into the hands of young readers, parents and educators. Thank so much for your wonderful review! I have always loved this book! Thank you for your support of MCBD too! You are very welcome. And thank you for all you have done to create the remarkable, educational celebration that is MCBD! Lovely review. This book is on my list to read! I love the theme and the illustrations. Glad to see you part of MCBD. Thank you, Patricia! That means a lot to me coming from one of my favorite children’s book reviews. Reading that book feels like a great visit to a different time and place. Yay MCBD! Would be nice to know for what age group? The publisher’s website says Interest Level: K-6; Reading Level: 3-4. I concur. I think children on the younger end of that age range would enjoy listening to the beautiful language while exploring the detailed pictures. Older kids might be more actively researching a culture or immigrant experience while reading it, but I think they would enjoy the language and illustrations as well. Someone not afraid to post a photo of herself with hair in her mouth! I love the water and my family and friends—this photo reminds me of both. I write picture books, poetry, early readers, and nonfiction for children. I also edit children's books (picture books through young adult books). Click on my photo above for more information. My Amazing Day: A Celebration of Wonder and Gratitude is a board book for ages 0-3. Reviewers have called it “a perfect first book to gift a new mother” and “a book that takes your breath away.” Click the cover image above, for more information.